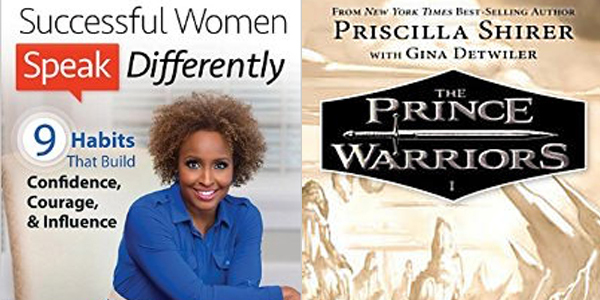 Bestselling authors, Valorie Burton (Successful Women Speak Differently — Nonfiction) and Priscilla Shirer (The Prince Warriors — Fiction) lead the bestsellers list of Black Christian authors on the November 2016 edition of the Black Christian News/Black Christian Book Company National Bestsellers List. BCNN1.com has also released the November 2016 edition of the BCNN1/Amazon.com Kindle E-book Bestsellers List. This list ranks African-American Christian e-books based upon their sales rankings in the Amazon Kindle e-book store. Also, BCNN1 is releasing the November 2016 edition of the BCNN1/Barnes & Noble Nook E-book Bestsellers List. This list ranks African-American Christian e-books based upon their sales rankings in the B&N Nook e-book store. 9. The Song of Solomon by Jeffrey A. Johnson Sr.
Click here to view the rest of the November 2016 BCNN1/BCBC National Bestsellers List.